The eager wait of over 4.5 lakh students is likely to end on Tuesday as the Jharkhand Academic Council (JAC) is expected to declare the results of Class X board at around 3.30 pm, according to The Indian Express. However, there is no official confirmation of the same on the JAC website, so students are advised to track the page to stay updated. Students can check their results by clicking on the board's official website jac.nic.in or jac.jharkhand.gov.in once they have been updated. 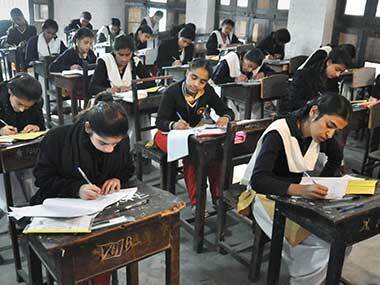 The exams which were conducted between 18 February and 1 March saw over 4 lakh candidates appear in the exams. The board has, however, declared the compartmental exam results for both Class 12 (Intermediate) and Class 10 on its website. Here is how you can check your result. Enter your roll number and other details in the given segment. Last year, 67.54 percent candidates had passed the exams, with boys outperforming girls. Boys had a pass percentage of 70.03 while girls had a pass percentage of 65.03, according to The Indian Express.